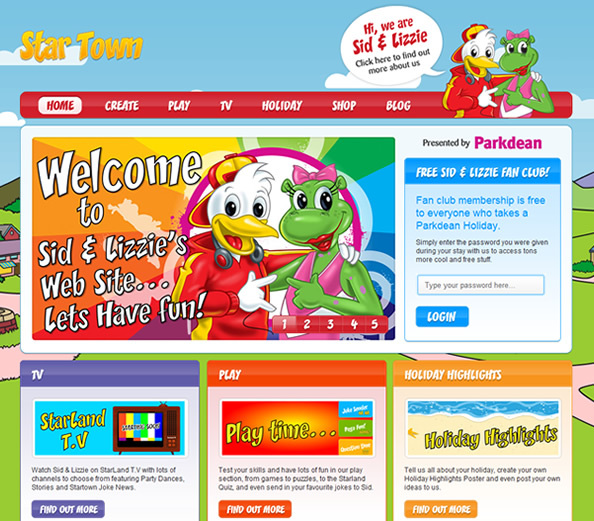 We have been working closely with Parkdean since July on a brand new website dedicated to their kids characters Sid & Lizzie. The website is packed full of activities ranging from postcard senders, pogo stick games and even the ability to keep track of how the Seagulls and Lizards team scores are doing at each of the holiday parks. Behind the website is a full content management system, allowing the Star Town team to control jokes, scores and the blog. The Star Town website was one of our largest projects in 2011, and contains some of the most interesting design and development work we have ever produced. We hope you enjoy taking a look around.